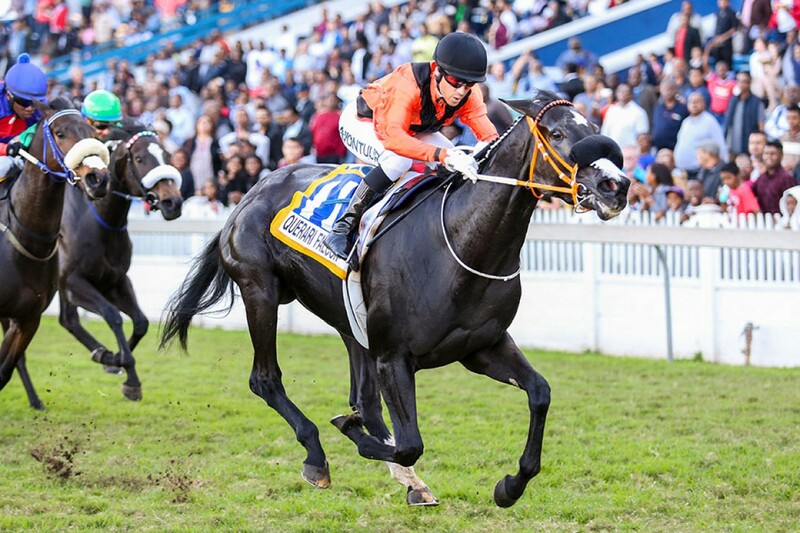 QUERARI FALCON (Querari – Pretty Waves by Crimson Waves) wins the THEKWINI STAKES (Grade 1) by a length from Dawn Calling. Prominent owner Adriaan van Vuuren paid only R90,000 for Querari Falcon. She is the first Gr 1 produced by the promising Oasis Dream stallion Querari (GER), who stands at Main Chance Farms. Trained by Mike Azzie, Querari Falcon was bred by the late Ben Botha, son Arne Botha and family from their Crimson Waves mare, Pretty Waves. “She has a bright future,” said jockey Anthony Delpech.